They help rescue people during times of natural disaster. They can sniff out poached wildlife. And for the 10 Texas Game Warden K-9 teams stationed across the state, these highly trained dogs are truly a warden’s best friend. Thanks to the generous support of private donors, the Texas Game Warden K-9 unit got off the ground in 2013. In 2015 alone, K-9 teams saw 215 deployments, and over half of those deployments were to assist other agencies. These deployments led to numerous rescues and resulted in 87 criminal cases. In a very short amount of time, the K-9 Team has become a great asset to law enforcement agencies throughout Texas and to the 26 million residents of the state whom they help protect. Watch this video about how these amazing animals are trained. 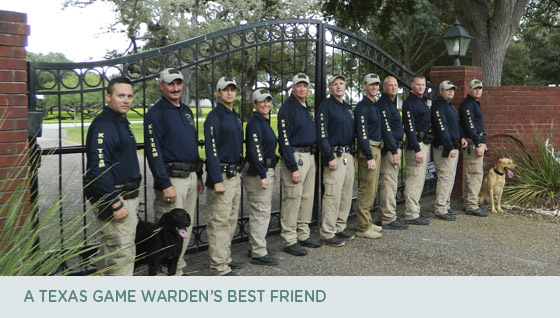 TPWF members help support the Texas Game Warden K-9 Team. You can help support them, too, by becoming a member today. It’s almost that time! The opening day of dove season is right around the corner. New licenses for the upcoming season go on sale August 15. And it’s good to know that 100% of your hunting and fishing license fees support on-the-ground conservation efforts that help make Texas one of the best places in the country to hunt and fish. 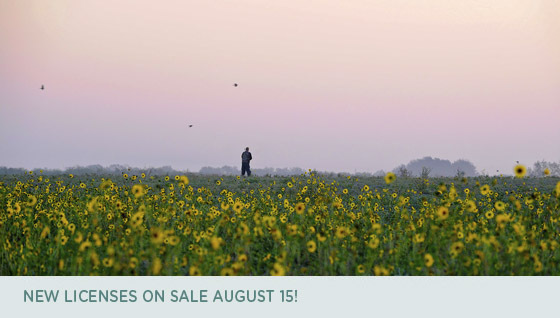 So buy your license and get ready for the dove opener on Sept. 1! Speaking of doves, did you know that this year’s season will be the longest one in 80 years? Find out why by listening in on this month’s podcast. 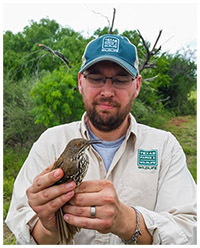 Shaun Oldenburger is Texas Parks and Wildlife Department’s lead dove biologist. He is the Migratory Shore and Upland Game Bird Program Manager, and he knows just about everything there is to know about doves in Texas. Listen in! 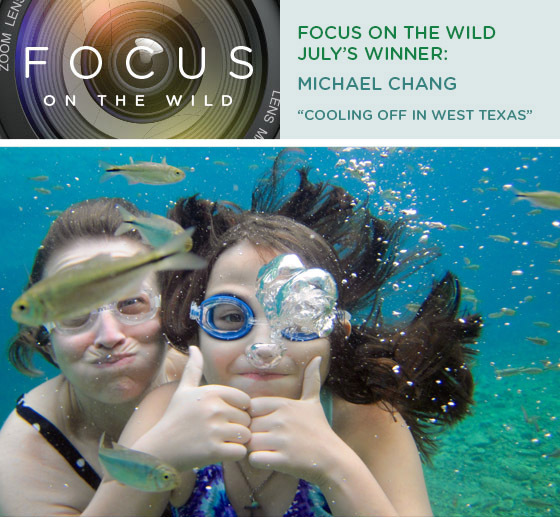 This month’s winner is Michael Chang from Austin with his photo “Cooling off in West Texas.” This fishy, funny shot was taken in June during the Chang family’s summer vacation to West Texas. They’d never been to Balmorhea State Park and decided to drop in on the way to Fort Davis. They were glad they did! “We were amazed at the crystal-clear water and how much you can see!” said Chang. Special thanks to Whole Earth Provision Company for providing a fabulous prize package for our July winner! For August, we have Texas wildlife in our sights. Send us your best image of Texas wildlife for a chance to score a Yeti cooler. To have a chance at winning, be sure your photo fits the theme and is submitted by August 25. Even if you submitted a photo previously, you can still enter this month. Read the contest rules to find out more.